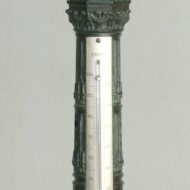 #2409 Antique German 'Berlin Sieges Säule' thermometer. Patinated metal with silvered brass plate. 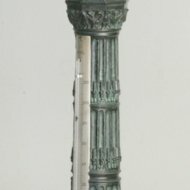 Height 33 cm, diameter basement 10 cm. ca 1860.